Johnie V. Calhoun, son of Mr. and Mrs. S. V. Calhoun, Graham, attended Graham High. 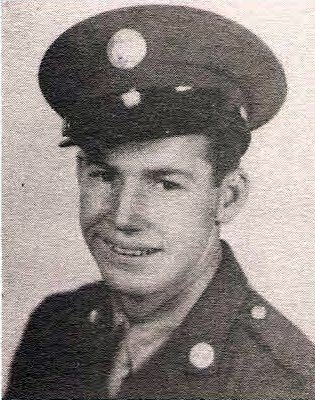 Entered Army, 1943, trained at Clearwater, Fla. Served in France, Germany, Belgium and England. Awarded EAME with 2 Stars, Dist. Unit Badge, GCM and Victory. Discharged, 1946.